Children afflicted by paralysis will never again lead the lives they once enjoyed. Children who sustain paralysis injuries when they are very young will never have the opportunity to utilize the full functionality of their bodies. 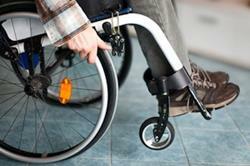 Paralysis tragedies often result from avoidable incidents, such as medical negligence or poor supervision. If your child has sustained a paralysis injury as a result of someone’s negligence, you may be entitled to compensation from those responsible. Call nationally-recognized child-paralysis lawyer Jeffrey Killino at 877-875-2927 to learn more about your legal options. Paralysis in children may result from many things. Injuries sustained at birth may prevent a child from moving parts of the child’s face or certain extremities. An adult’s negligent supervision may result in an accident, such as a fall from a high area, and a child’s consequent paralysis. Property caretakers who fail to maintain their buildings, stairwells, playgrounds, or other structures may create dangerous situations that can seriously harm a child. Legal liability for a child’s paralysis injury may be attached to individuals and/or entities whose negligence or medical malpractice is found to have been a cause of the injury. Manufacturers and others in the chain of distribution of a defective product may also be found liable for a child’s paralysis injury if the product’s defect is found to have been a cause of the injury. Children are curious and naïve beings who have yet to gain the experience necessary to recognize and avoid hazardous situations. Supervisors are expected to keep dangerous objects away from children, make sure they stay in safe environments, and assist them when necessary. When you put your child in the custody of another individual, you trust that person to provide adequate supervision and protection. When that person fails to deliver such care, he or she may be held liable in an action for negligence if the person’s negligence is found to have been a cause of a child’s injuries. In certain situations, the employers of individual’s whose negligent supervision was a cause of a child’s paralysis injury may also be found liable in an action for negligence. If the employer was negligent in hiring or training the negligent supervisor, the employer may be held directly liable for the paralysis injury sustained by a child as a result of the supervisor’s negligence. Even if the employer exercised the utmost care in the hiring and training of a negligent supervisor, the employer may nevertheless be held liable under a vicarious liability theory for the paralysis injury suffered by a child as a result of the supervisor’s negligence. The negligence of medical personnel can result in a child’s paralysis injury. Nurses who force a child into a certain position when the child is unable to straighten his or her body may cause the child permanent paralysis. The nurses responsible as well as the individuals or entities that employ the nurses may be held liable in a malpractice action for the child’s resulting paralysis injury. Pediatric surgery may also result in the paralysis of a child. If the negligence of the pediatric surgeon, the anesthesiologist, or any attending and assisting medical personnel is found to have been a cause of a child’s paralysis injury, the responsible individuals as well as their employers may be found liable for the child’s injuries in a medical malpractice action. The use by a child of a defective product can also cause a child’s paralysis injury. If a child uses defective protective sports equipment, for example, while engaging in a sport that warrants the use of protective gear, the manufacturer of the protective gear and anyone in the chain of the product’s distribution may be held liable in a product liability action for a child’s paralysis injury that is found to have been caused by the product’s defect. Paralysis injuries can also result from the use of unsafe toys and other recreational equipment. According to the American Academy of Pediatrics (AAP), the use of trampolines can cause brain and spinal injuries that result in paralysis. If a defect in a trampoline, such as a protective net that was inadequately designed or manufactured to prevent children from falling off the trampoline, is found to have been a cause of a child’s paralysis injury, the trampoline’s manufacturer and others in the chain of distribution may be found liable for the child’s injuries. Children often sustain injuries, including paralysis injuries, while on someone else’s property. The owners of such property may be held liable, under certain circumstances, for such injuries. In some states, only invitees and licensees, as opposed to trespassers, may recover for injuries sustained while on another’s land. In most cases, however, trespassing children may recover for injuries sustained while on another’s land if they were lured there by an attractive nuisance that was located on the land. Even in states that generally prohibit recovery by trespassers, property owners may be held liable for injuries to trespassers that were sustained after the owner became aware of the trespassing child’s presence on the land if the owner failed to take steps to warn the child of the dangers and to keep the child safe from injuries caused by those dangers. If your child has suffered paralysis from an accident resulting from another’s negligence, then you have the right to claim compensation from the responsible party. Contact child paralysis lawyer Jeffrey Killino today at 877-875-2927 to discuss your legal rights in this situation.